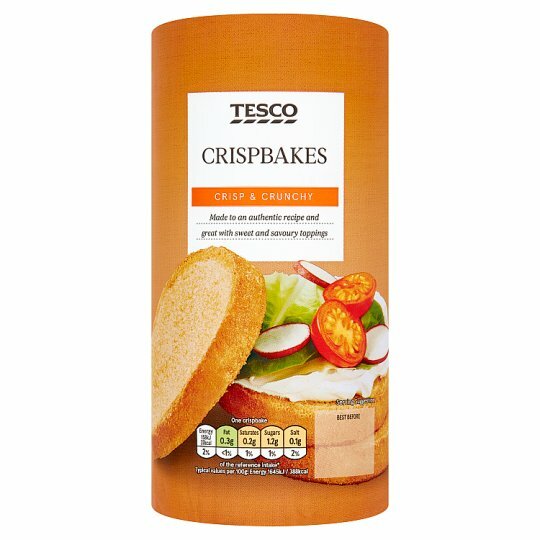 Tesco Dutch Crispbakes. Made in Holland to an authentic recipe and great with any topping. Inspired by traditional Dutch bakery in Holland has been making Crispbakes since 1870. INGREDIENTS: Wheat Flour, Glucose Syrup, Yeast, Palm Oil, Egg, Sugar, Emulsifier (Sunflower Lecithins), Salt, Raising Agent (Potassium Carbonate). May contain sesame seeds. For allergens, including cereals containing gluten, see ingredients in bold.